This item is available in 676 cover options. Click to view options now! This stationary sofa boasts a classy traditional style. 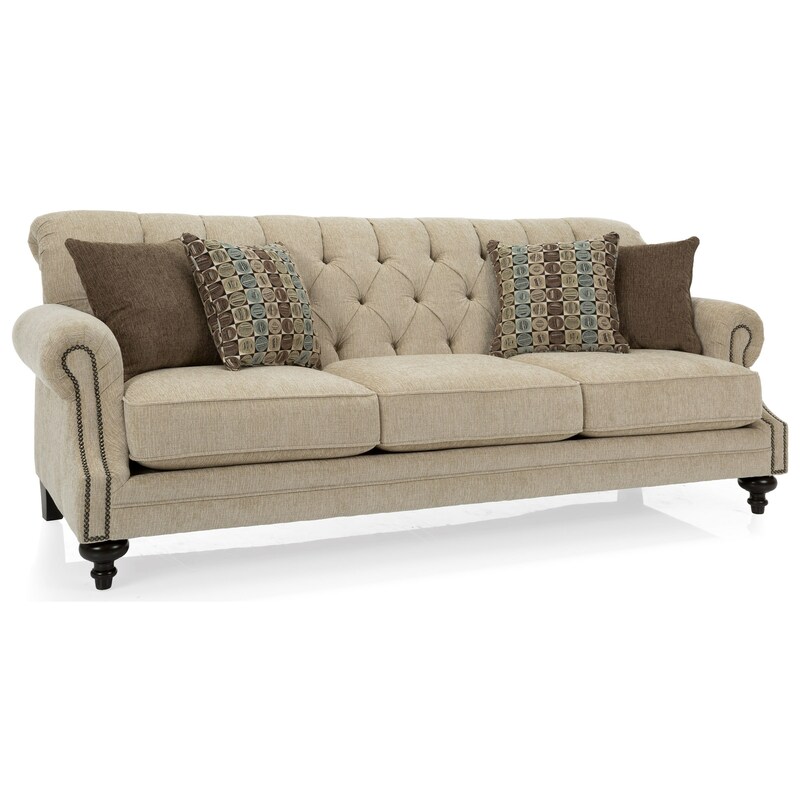 The tight tufted backrest, rolled arms, and turned wood feet bring a beautiful, elegant look to this piece. Completed with plush seat cushions, additional accent pillows, and nailhead trim for a designer look. Available in a variety of fabrics. 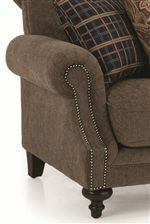 The 2133 Traditional Tufted Back Sofa with Nailhead Accents by Decor-Rest at Stoney Creek Furniture in the Toronto, Hamilton, Vaughan, Stoney Creek, Ontario area. Product availability may vary. Contact us for the most current availability on this product. The 2133 collection is a great option if you are looking for Traditional furniture in the Toronto, Hamilton, Vaughan, Stoney Creek, Ontario area.